The following information is provided by Karen Hrabec, great grand-daughter of Sgt James Partlin who died in Edie's care on 21 August 1918 at No 3 General Hospital in Le Tréport. 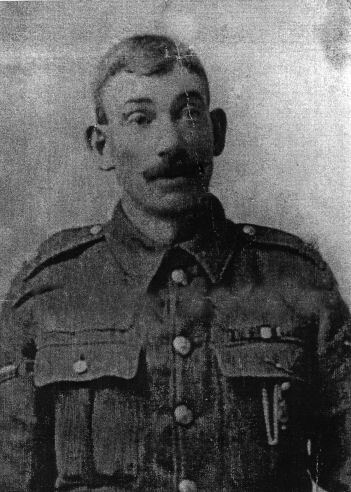 More information on Sgt James Partlin here. "After James Partlin died in 1918 my great grandmother, May, married Patrick Gerald Mulrooney in 1919 and he took over the five children as their stepfather. One of these children was my grandma Mary. Army No 19752. Accrington Pals. "Well, Patrick Gerald Mulrooney had a son from a previous marriage and that son was called Patrick James Mulrooney. Patrick (Junior) had a relationship with my grandma and produced my mother. So the above are my great grandfather and grandfather." PS 25 Jan 2009. Karen ads "I have been doing some more research and found that Patrick Gerald Mulrooney died age 65 in 1942. 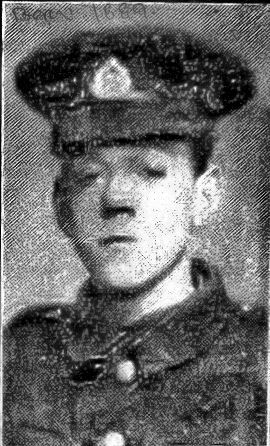 And his son Patrick James Mulrooney died on the 23 June 1943 age 45. Grandad (PJM) is at the Blackpool Cemetery War Grave and was in the Royal Artillery." 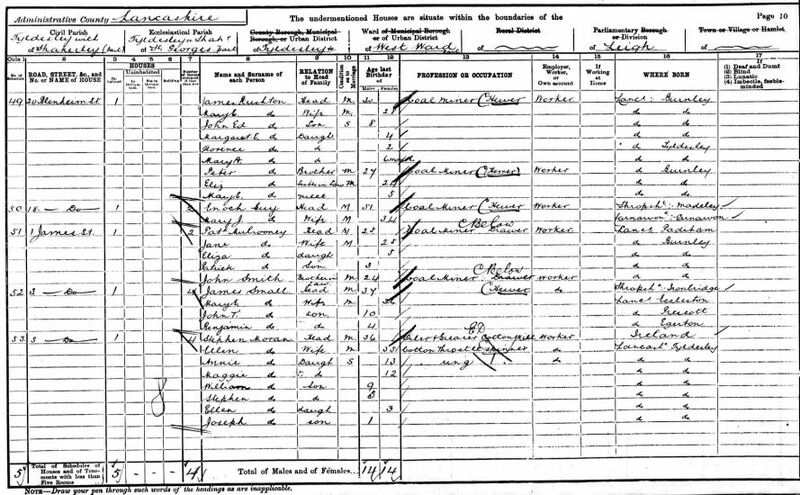 The 1901 census shows Pat Mulrooney (that's Patrick Gerald Mulrooney), aged 25, living with his wife Jane (25) and two children, Eliza (5) and Patrick (3), at 1 James Street, Tyldesley with Shakerley near Wigan. Click here to view the page. At the time of Sgt James Partlin's death, his address is listed as 16 Croft Street and by then the Mulrooneys were living down the road at number 32.